Fact about grapes, wine and alcohol. Interesting fact about grapes, wine & alcohol. 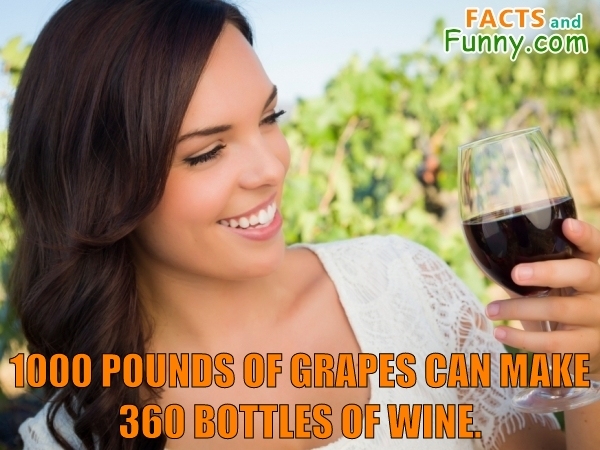 1000 pounds of grapes can make 360 bottles of wine. In addition to grapes, this photo shows glass, woman and wine. It's best to store wine bottles on their sides to keep the cork moist. Dry corks can shrink, allowing air to enter the bottle and ruin the wine. This content was created in January 2019.